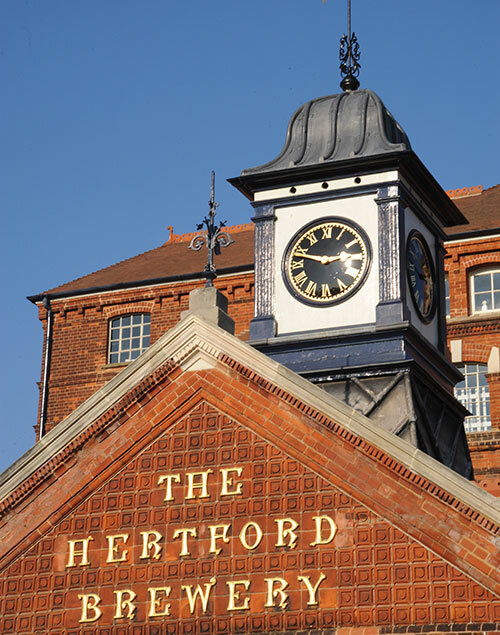 The original Hertford Brewery building is a Grade II* listed building build in 1891. The old brewery is highly considered as one of the UK's most celebrated localised brewery buildings and is often considered a must see amongst beer lovers. The building now stands as a museum, apartment building and Sainsbury's attached to the rear, all of which were completed between 2011 to 2012 as part of a £2.5m restoration contract. We began works in 2011 undertaking works to the timber sash box windows, steel windows and cast iron windows, completing a full restoration of these systems as part of a 24 week window restoration program. Please see our portfolio page for more examples of this type of works.